2L-12. 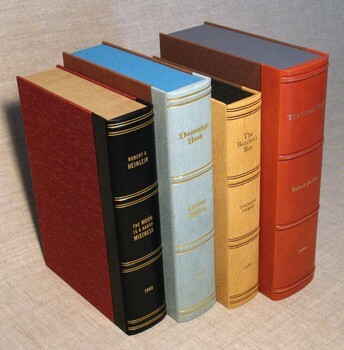 Quarter leather boxes for rare books. Rounded spines, raised bands & direct foil stamping.